Order a latte at a Parisian café in perfect French. Cheer at a packed stadium in Madrid for your favorite fútbol team in passionate Spanish. Teach German to the next generation of the world. In a global society where roughly 5.4 billion people do not speak English, studying an additional language helps create endless possibilities for your future. Not only will having the ability to communicate with people from diverse cultures, heritages and backgrounds benefit you professionally, but you will be enriched personally. The department of languages offers a variety of majors, minors, certificates and courses in 11 different languages taught by faculty from nine countries. 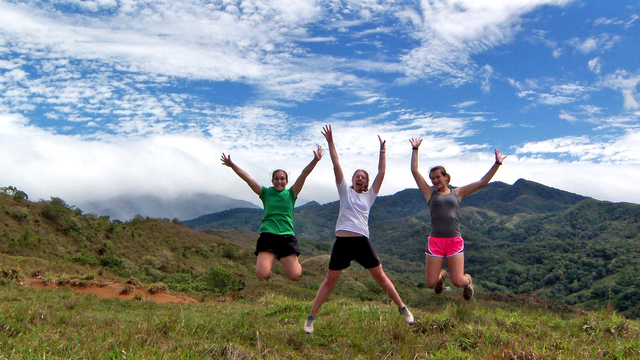 All of our programs help you develop a practical usage of your choice language and you will be strongly encouraged to try out your new skills in a native-speaking country through an immersion experience. 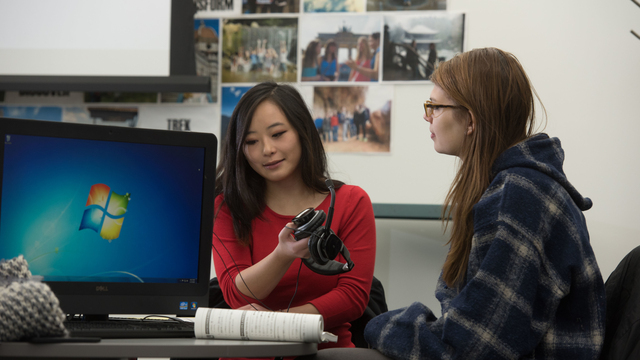 The languages department at UWEC provides students with unique opportunities to work with native speaking professors, conduct research, study abroad and be prepared for life after college. When you become a Blugold, you'll have the opportunity to fill your photo album with life-changing moments. Picture yourself presenting research at a national conference, having fun at a student org event or taking a trip to another part of the country or world to practice your language skills. These are just a few examples of the kinds of opportunities Blugolds get to experience during their time at UW-Eau Claire. Choose from a variety of majors and minors that will turn your passion for languages into a career you’ll love. Each program focuses on practical usage combined with a solid liberal arts education so you'll be prepared to excel in a global landscape. Learning a new language takes time and effort. The Language Lab, Roma Hoff Instructional Resource Center and Academic Skills Center are great resources that will help you perfect your language skills. Friday, May 10, 2019 noon - 1 p.m.